Correlative spatiotemporally resolved diffraction is able to gain fundamental and detailed understanding of the driving forces and processes of defect generation in crystalline materials during growth and processing. The methodology is based on the combination of in situ topography, diffraction laminography and further complementary methods. The evolution of cristals should be studied in dependence of thermal, mechanical, electrical and chemical load. The method will give new insights in materials sciences processes involved in wafer production, CMOS-technology or solar cells. STROBOS-CODE – Stroboscopic and correlative diffraction imaging - A N Danilewski, J Becker, T Baumbach, D Hänschke, A Kopmann, V Asadchikov, M Kovalchuk, STROBOS-CODE collaboration, Final report, 2018. X-ray topo-tomography studies of linear dislocations in silicon single crystals - Asadchikov V. et al., in Journal of Applied Crystallography (2018). Correlated Three-Dimensional Imaging of Dislocations: Insights into the Onset of Thermal Slip in Semiconductor Wafers - Hanschke D. et al., in Physical Review Letters, 119 (2017), 215504. Investigation of the luminescence, crystallographic and spatial resolution properties of LSO:Tb scintillating layers used for X-ray imaging applications - Cecilia A. et al., in Radiation Measurements, 62 (2014) 28-34. 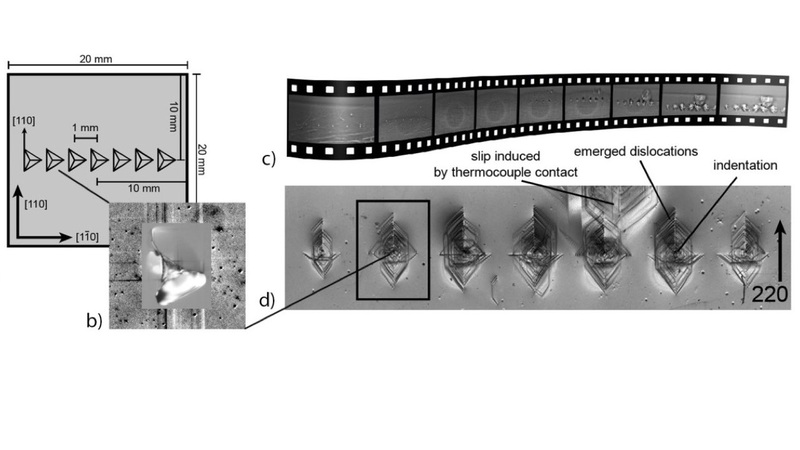 Influence of a low-temperature capping on the crystalline structure and morphology of InGaN quantum dot structures - Krause B. et al., in Journal of Alloys and Compounds, 585 (2014) 572-579.